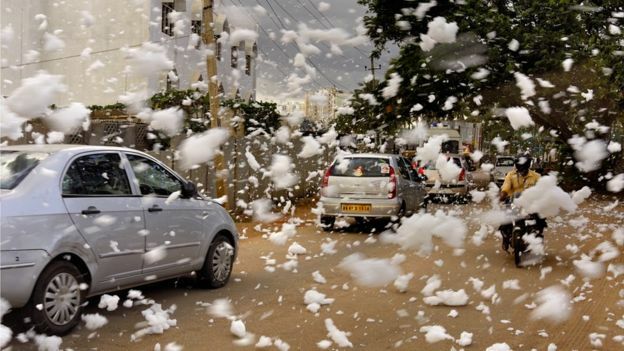 Is it snowing in India's tropical southern city of Bangalore? 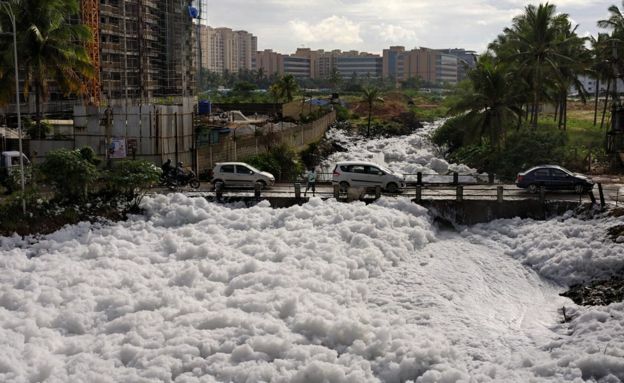 The picture above would certainly make you think so. 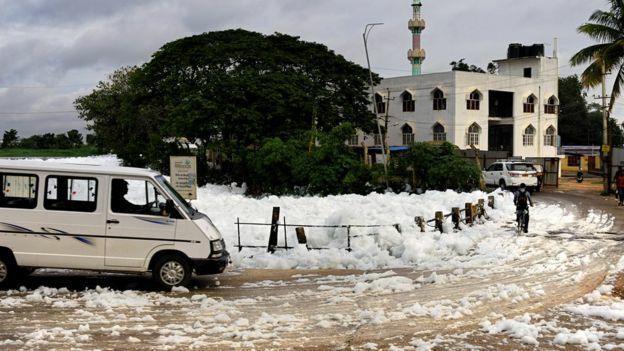 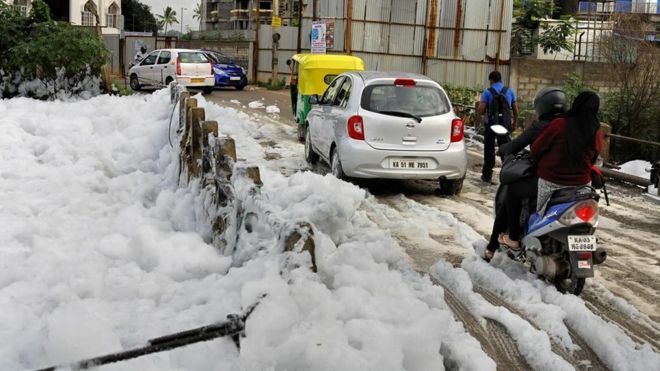 Unfortunately, the reality is quite different: what looks like snow is actually harmful snow-white froth that floats up from the city's largest lake and spills over into neighbouring areas. 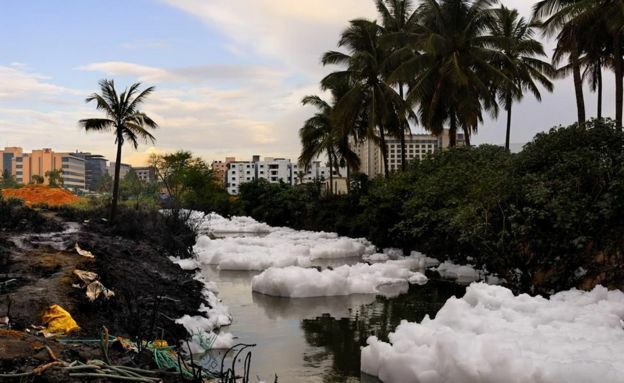 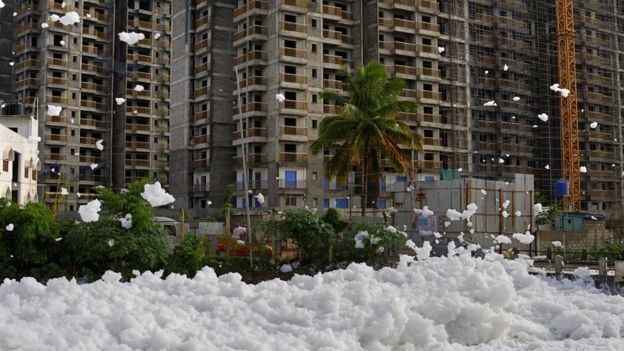 Over the years, the 9,000-acre Bellandur lake in India's technology capital has been polluted by chemicals and sewage. 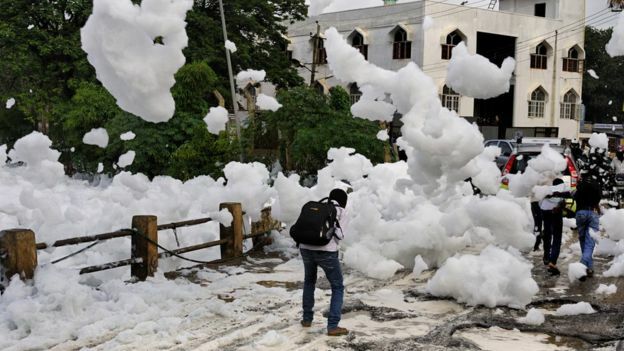 IT professional Debasish Ghosh has been taking pictures of the lake of "harmful snowy froth" for months now. 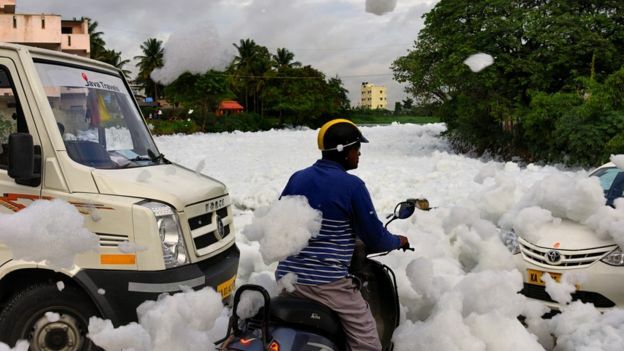 Here is a selection of his pictures.